“I have no view on this. 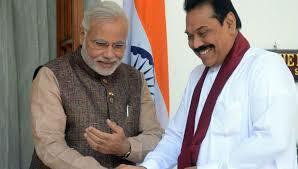 It is up to the government; it is an internal matter for India,” said Mr. Rajapaksa in an interview to The Hindu. “If this was in Sri Lanka, we would have taken a different line,” he added. You have had a rocky relationship with India. Is your visit here a sign of reconciliation with the Modi government after 2015? Yes. Just before and after the elections [(in 2015], we had a lot of misunderstandings. Now of course, I think it is about time to move on. In March 2015, in an interview to The Hindu, you had accused R&AW, the intelligence agency, of helping bring the opposition together, which led to your defeat. A few weeks ago you said that India must not “meddle” in political affairs in Lanka. Are you worried it will? It isn’t only India. I didn’t mention just India. I said no one should meddle with somebody else’s elections. It is an internal matter of a country whom the people decide to bring to power. That was in my mind. I think now they all have understood what went wrong at that time and what they did. So we need to forget about the past. This is the time to move forward and look forward. On that subject, there were allegations that your party had accepted campaign funds from Chinese companies…. They have not funded me. But this is what people talk about because the [Maithripala Sirisena] government has nothing else to accuse us of. When they came to power, they were looking for my $18 billion, but they are still looking for it (laughs)… despite the help of the U.S. and other countries. They haven’t even found a dollar. All eyes at present are on Sri Lanka’s Chinese debt. Do you think your original deal for Hambantota and the Colombo Port project could have been done differently? Look, the loans that we took, Sri Lanka could have paid them back. But the [Sirisena government] has messed things up. For the Colombo Port City, we didn’t have to pay anything, it was a contract sharing arrangement, where they got a share of the land they developed. At the time of the Hambantota port deal, our debt from China was less than our debt from the U.S. and other countries and debt-to-GDP ratio was under control. So if the problem has grown now, and the government has not managed it, then how can you blame us? What is your longer view of Sri Lanka’s relationship with India and China, which seemed to be the cause of the “misunderstandings” at the time? India is our closest relation, I would say, and our neighbour. And China has been a long-standing friend. In all our dealings with China, we never forgot about the interests of India. We had a very good understanding with the Indian government and we always told them that we would never allow our territory to be used for any activity against our neighbour. India’s other concern at the time was a Chinese nuclear submarine being docked in Colombo harbour. Since then, there is Gwadar port, there are Chinese inroads in the Maldives. Was India justified in its concerns that it raised with you? Look, the Chinese submarine was on a routine trip to the Gulf and South Africa. And they just stopped for a short haul. That’s all. I think this was used as an excuse [by India] at the time. What was the reason for the deterioration in ties then? Misunderstandings. My priority was always to develop my country and I always kept India informed and asked them first to build the port, to build the airport, to build the highways… we always came to India. We offered them first, then the next offer went to China, because they were the only people who could do it. And within eight months the Chinese had started [construction]. You say that, but recently your party opposed the Mattala airport being leased to India. What is your objection? I am not opposing India, I am opposing the privatisation that is the policy of the Sirisena government. I never privatised the way they have. In fact I bought back the shares of the gas company, insurance company, and also the SriLankan Airlines that was sold to Emirates. How do you see India-Sri Lanka ties at present? While the leadership says that relations are at their closest, many agreements are pending, including on the ETCA (Economic Technology Cooperation Agreement), Trincomalee oil farms, and Mattala airport. Well they say there is a very good relationship between the two countries and the leaders, much better than earlier. I think it is all only talk from our side. I don’t want to criticise my government when abroad, and I appreciate all the meetings they have had, but no investments are coming in to Sri Lanka. The government isn’t stable. For the security of India, stability in Sri Lanka is very important. A weak government cannot give that guarantee. If your party comes to power, what would be your first priority with India? I think our first priority is investment. And better communication. 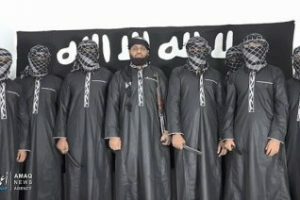 We had a mechanism during the war [against the LTTE in 2009] called the Troika, where three officials from both sides were able to discuss any issue, even in the middle of the night. For economic purposes also, we must have a mechanism like that, where India and Sri Lanka coordinate on all the issues we have today. A government must be strong and speak in one voice. 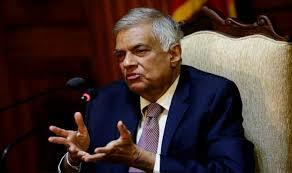 Currently, the [Sri Lankan] Prime Minister says one thing, the President contradicts him. Policies differ within the government. Even so, despite the challenges and a no-confidence motion , the ruling Sri Lanka Freedom Party-United National Party (SLFP-UNP) combine of Mr. Sirisena and Ranil Wickremesinghe has stayed together. Do you think they will go into elections together? I have my doubts. But even when they get together, I don’t think they can win. Would you be willing to work with Mr. Sirisena, your former colleague and from your old party, the SLFP, again? Unfortunately he is not prepared to work with me. We have a new party [Sri Lanka Podujana Peramunal], and our president is G.L. Peiris. So he must reach out to us since we got about 45% of the vote in a three-cornered fight. In 2015, it wasn’t just the opposition that came together against you. Tamil populations, Muslim minorities felt marginalised and persecuted during your tenure. Why do you think they would vote for you? I think they have understood the mistakes this government has done. The minister responsible for the anti-Muslim violence in 2014, for example, is a minister in this government. When we were in government, we rebuilt houses that were destroyed at that time itself. But this year, the government has done nothing for the victims of the Kandy violence. When the violence began [February 2018], I rushed to the area and convened a meeting of all the communities together along with the religious leaders. The PM and the President only went later. But there is a worry that you represent a Sinhala-Buddhist muscular majoritarianism where minorities don’t feel as safe. Look, we won 71% of the seats in the last elections [local elections in 2018], so I think most people are with us. This is just a canard spread by my opponents, I don’t think this is a perception amongst people. How about your past role in the war against the LTTE and accusations of human rights violations? You were also recently questioned for the torture of a journalist… How much of a liability will those charges be? I don’t think they will be a problem. People know these charges are just to harass us. Because all the cases are against only the Rajapaksa family, and their supporters. What about all the people in my government before, who are now in government? The evidence in these cases is in any case flimsy and unproven all these years. As far as international human rights groups go, let them come after me. We have nothing to hide. After all, defeating the LTTE, a terrorist organisation, was not done only for us, no? It was not just for a community or for one country. They killed Rajiv Gandhi, they were operating with other organisations in other countries too. They introduced suicide jackets to the world. So defeating them helped many other countries too. 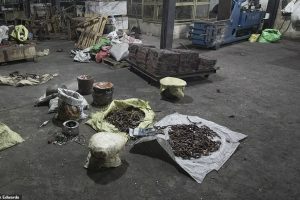 In recent days, there has been the question in India of whether those LTTE cadres convicted for Rajiv Gandhi’s assassination should be released with a recommendation from the Tamil Nadu Cabinet. What is your opinion on this? I have no view on this. It is up to the government, it is an internal matter for India. If this was in Sri Lanka we would have taken a different line. But how can I say anything when the issue is in India? Who will lead the SLPP into elections in 2019, given that you have completed two terms and according to the 19th Amendment that is the limit? I will lead the SLPP. There is a view that despite the Amendment I can fight elections and then fight it out in court. But I still have to decide whether to take that risk. Another option is to announce a candidate acceptable to all. Will it be a member of your family, or would you consider someone outside it? My son [Namal Rajapaksa] can’t be a presidential candidate since they have now raised the minimum age to 35 years, instead of 30, so he can’t be considered in 2019. My brother is certainly a contender, but the party and the coalition will have to decide who the people want.